Autoweek still loves the 2018 Nissan LEAF after 10,000 miles of intensive testing. Regardless of any negatives about the Nissan LEAF, it's still the world's best-selling EV, and has found much global success for many years. The most interesting aspect of Autoweek's analysis of the redesigned Nissan is that they've had no issues with battery degradation. Let's not forget that this is only 10,000 miles, and different circumstances yield conflicting results. However, the publication's overall impression has remained solid. We’ve done regular runs from L.A. to San Diego (128 miles), Indian Wells past Palm Springs (118 miles) and Santa Barbara (a mere 104 miles). For those drives we have usually had to plug in overnight in order to get back home. Luckily, every hotel we stayed in except the Hard Rock San Diego had Level chargers. The Hard Rock found a 120-volt outlet that had the Leaf back up to 94 percent full in less than 24 hours. Nonetheless, the charging infrastructure situation was an issue at time. The publication admits that during times of range anxiety, it had to search hard for a high-powered and pricey CHAdeMO charger. Meanwhile, since most that they found were supplied by various companies, they had to do a "complicated signup procedure" each time. Keep in mind, this won't be as much of an issue if you're a regular EV owner and already have your ducks in a row. Added to the above, Autoweek assures that you may not have to freak out if your trip is 150 miles or less. 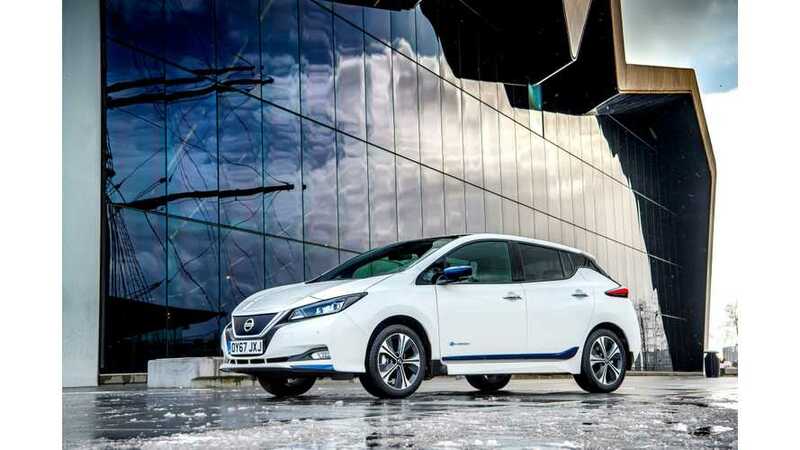 Rather than succumbing to range anxiety, they've found that you can trust in the LEAF's 150-mile range. In fact, the publication never traveled less than 130 miles on a charge and sometimes went over 160 miles. The record trip came in at 173 miles traveled on a single charge. But, it would be silly not to note that you have to drive carefully and at about 60 mph to achieve such results. Though, unless you're dealing with a long-range trip, you can push the car and not worry so much. To read the entire, lengthy review, click on the source article below. It goes into other details, such as charging the car via solar panels on your roof, as well as more information about the LEAF's ePedal and ProPilot assist semi-autonomous tech.